Students at BIS Abu Dhabi recognise the importance of our school values and are generous when embracing and representing our values of Kindness, Honesty and Respect with each other and our wider community. 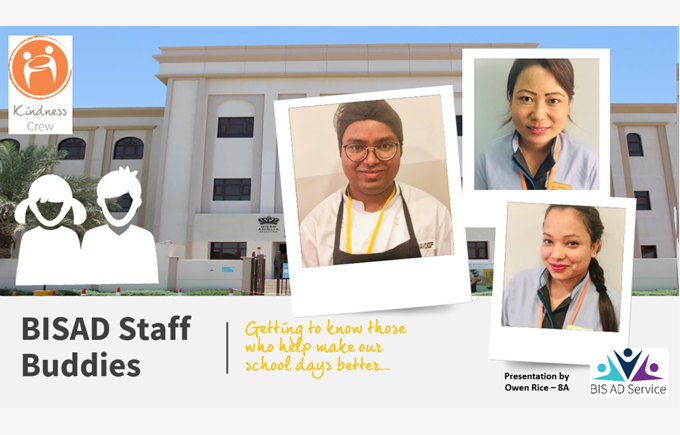 Students at BIS Abu Dhabi recognise the importance of our school values and are generous when embracing and representing our values of Kindness, Honesty and Respect with each other and our wider community. They give their time to support others with acts of kindness, whether it be in supporting each other with their learning (our Learning Luminaries), or doing Service Jobs in Primary to look after each other and the school. 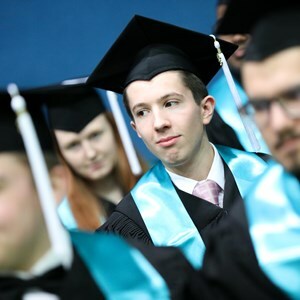 Recently students have helped back stage at the school musical production, at our excellent sporting events, in raising awareness of how we care for others and our planet and taking action to support UNICEF’s Global Goals. 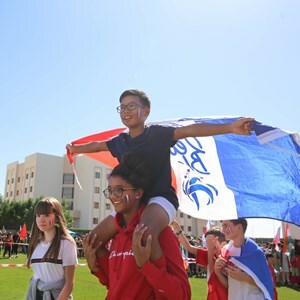 The number of students who have signed up to volunteer for our collaborations with Red Crescent is a further testament to the kind spirit of our students and wider parent community. Term 1 was a busy time for Service Leaders in Year 10, IB and across the school, raising awareness and support for our partner communities in Tanzania, in preparation for our two important and successful Service Project Expeditions in November and December. 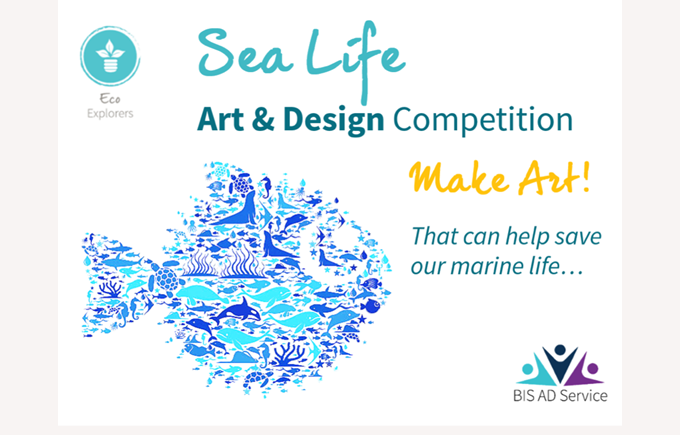 Term 2 has been equally proactive with Eco Explorers & Animal Aces Service Leaders, coming together to plan learning resources for raising Environmental Awareness about our recycling practices and our Eco ‘Sea Life’ Art Competition launched this week. The Kindness Crew have also been busy, we launched our BISAD Staff Buddy initiative this term, an opportunity to get to know all our support staff in school and as Ramadan approaches, the chance to give thanks and show appreciation. 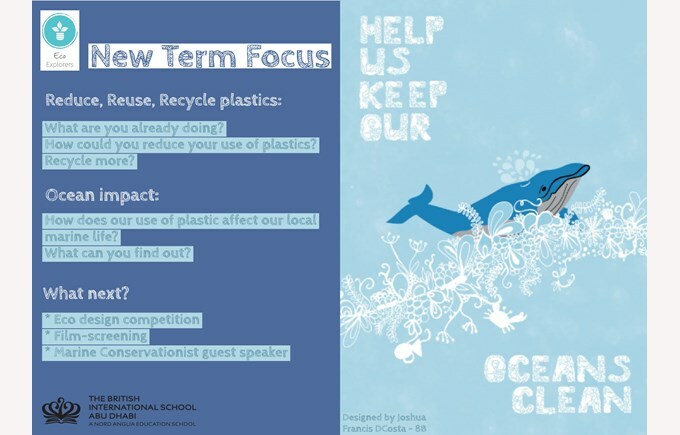 You may have seen our posters (designed by Joshua, Year 8B) around school, launching our focus in Term 3, on the impact of plastic in the Ocean. Click here for Josh’s great article about the negative impact of plastic on our Marine Life and how we can help. As Term 3 and Ramadan approaches, the Service Team would like to give thanks and appreciation for all the kindness and support our students, parents, staff and wider community, share with each other on a daily basis. We hope everybody enjoyed a restful Spring Break.